For those who may not have known, September 19th was the Mid-Autumn Festival in China, or 中秋节 (zhong qiu jie). This festival occurs on lunar calendar’s eighth full moon. Although OHS’s Chinese classes were unable to celebrate together in person, they still managed to find ways to enjoy the holiday, including poetry reading, mooncakes, and taking images of the moon in their area. While not all classes participated, the Chinese 2 class, taught by Mrs. Bickart, incorporated the vocabulary and culture of this festival into their curriculum. The Mid-Autumn festival is sometimes called the Moon Festival, because the moon is central to this holiday. Families get together and eat traditional Chinese moon-cakes together while moon gazing. It is a time to be with people you care about. Whereas part of OHS’s unique nature is the diverse locations of its students, it also means that classmates cannot celebrate holidays with each other. Instead, the Chinese 2 class took photographs of the moon from multiple different locations, all gazing at the moon and wishing we could spend this time together. The Monday after the festival, students shared their images on Saba for extra credit, and explained when and how they were taken. Images are below. In addition to taking photographs, students ate mooncakes on camera. Mooncakes, or 月饼 (yue bing), are traditional pastries eaten around the time of the festival. 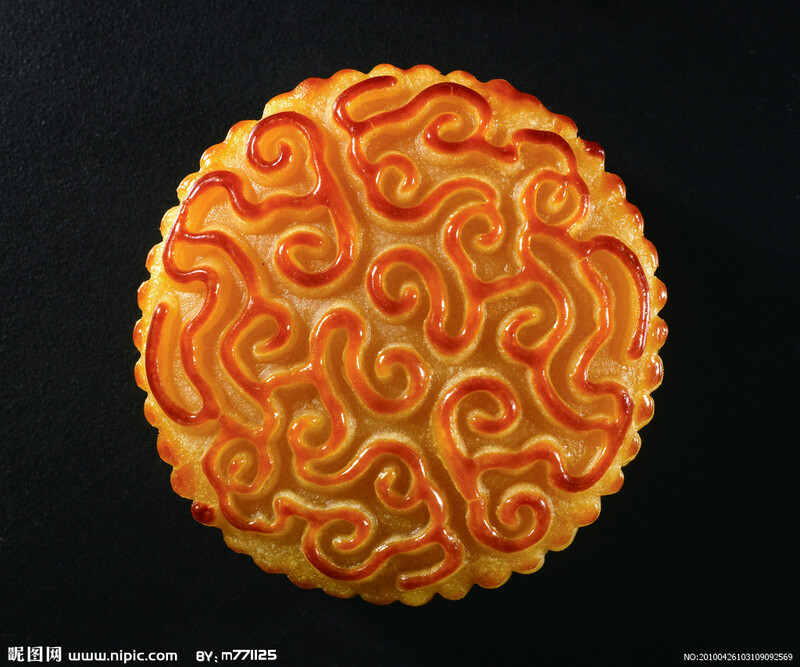 Mooncakes can contain fillings such as lotus paste or egg, and have designs on the top. Students in Chinese 2 used this as an opportunity to practice their ability to comment on how food tastes in Chinese, whether or not they had already cut their mooncake, and where/how they received the cakes. A few also ate their mooncakes on camera and gave their opinions to the class. Some students liked mooncakes while others did not, and those that had tried multiple different types in the past decided whether they liked this year’s cakes better or not. Students in Chinese 2 also read a few traditional poems. As their weekly writing homework, they copied one of these poems, titled”静夜思” or “thoughts on a still night”. 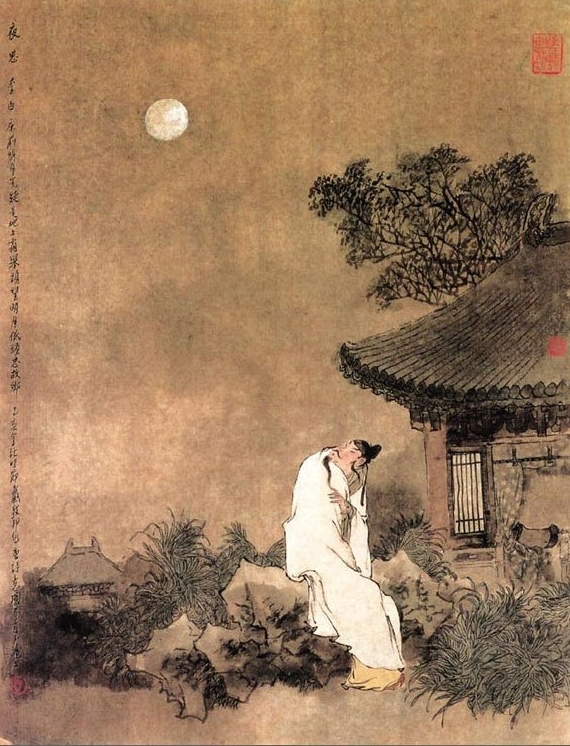 This poem is a traditional Mid-Autumn Festival poem, by 李白 (Li Bai), a poet from the eighth century, and can be found below, both in Chinese and translated into English. Understanding culture is important, and OHS language classes are able to transcend distance in order to celebrate an annual festival through poetry and cameras. Managing to celebrate together, although it might not be the same as in a brick-and-mortar school, is what makes OHS so unique. The Mid-Autumn festival is about togetherness under the same moon, a unity that is crucial to the OHS community. Looking down thinking of my homeland.